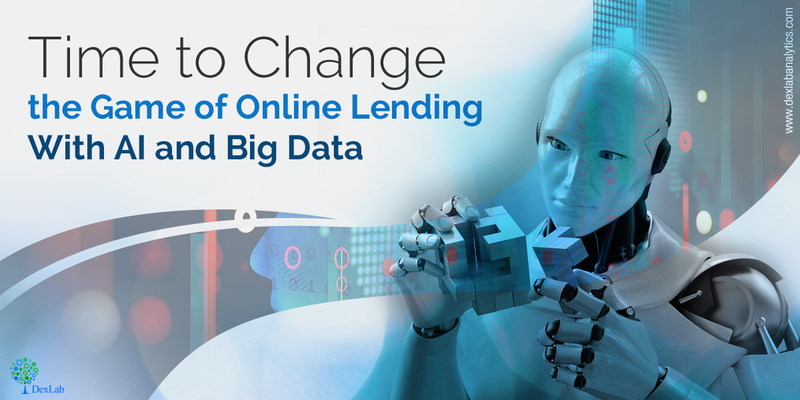 As digitization grows in size and width, more and more companies are seeking ways to modify their digital lending services. It would be effective as well as profitable for both borrowers and lenders. And as a topping on the cake, companies resort to Artificial Intelligence and Big Data as they believe they are the future powerhouse of loans. Originally banks being the lenders make the lending decision based on a loan applicant’s credit score – which is a 3-digit number collected from renowned credit bureaus, like Equifax and Experian. Credit scores are obtained from large piles of data, such as credit history length, payment history and credit line amounts, and are used to decide whether the applicants would be able to repay their debts. They are also good to determine the interest rate of loans. Low credit score is an indication that you are a risky borrower, which may end up in rejection of your loan application or else you have to pay excessively higher interest rate. DexLab Analytics excels in providing superior business analysis training in Gurgaon. Visit the site for more information. Artificial Intelligence: What the Future Holds for India, Next to US – @Dexlabanalytics. However, according to digital lending platforms, this kind of information isn’t enough – they fail to draw the actual picture of the loan applicant’s credit worthiness. Rather, it is advisable to include hundred other data points in the scrutiny process, and they don’t have to be based on financial interactions alone. Include educational certifications, employment documents, and even you can take help from minor information, like your nap time, website browsing preferences, chatting habits and so on. At times, the concept of Big Data is downright challenging – it creates more confusion than clearing things out. Even Artificial Intelligence is included in this, though marketing teams of countless companies are relying on this advanced technology to enhance profitability and efficiency in operations – pundits from the online lending industry believes AI can actually change the way fintech companies perform. Artificial Intelligence: Let’s Crack the Myths and Unfold the Future to You – @Dexlabanalytics. 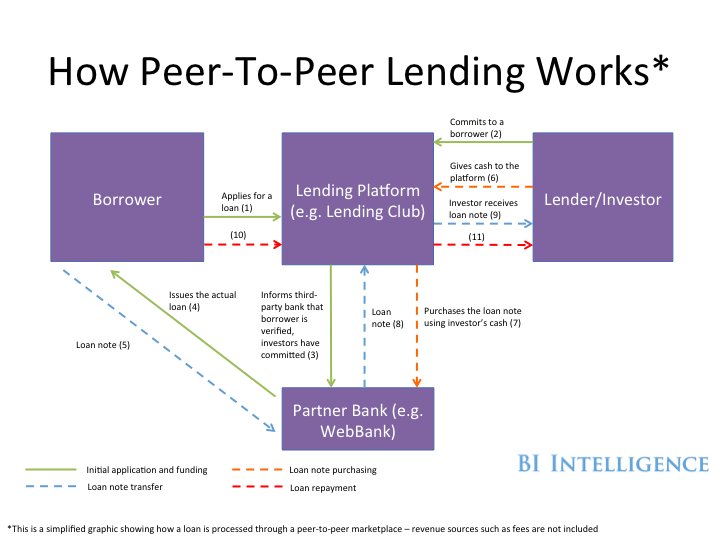 For example, Upstart, a California-based Peer-to-Peer online lending company uses the power of AI to process loans. It implements machine learning algorithms to perform underwriting decisions. Machine Learning possesses the ability to analyze and coordinate large chunks of customer data to draw patterns that would remain unnoticed if done manually through human analysts. According to Upstart, this process eventually works out well for people with limited credit history, lower income level and young borrowers. The company has also initiated an automation of 25% of its less risky loans to keep future prospects in mind. Another Chicago-based startup Avant is harnessing machine learning to identify fraud – by comparing customer behavior with the initial available data belonging to normal customers, while singling out outliers. They are now planning to extend their services to brick-and-mortar banking structures that are planning to set their foot in the online lending business. 5 Hottest Online Applications Inspired by Artificial Intelligence – @Dexlabanalytics. Today, digital lending is witnessing a steady growth worldwide, and India is not lagging behind. The perks of introducing machine learning and analytics are evident everywhere, so get yourself charged up and ride on the road of analytics. DexLab Analytics offers excellent big data hadoop certification in delhi ncr. Get enrolled today to experience the best! !